This adorable Apple Headquarter Treehouse has been built by Anders Berensson Architects for a client living in Limham, Sweden. 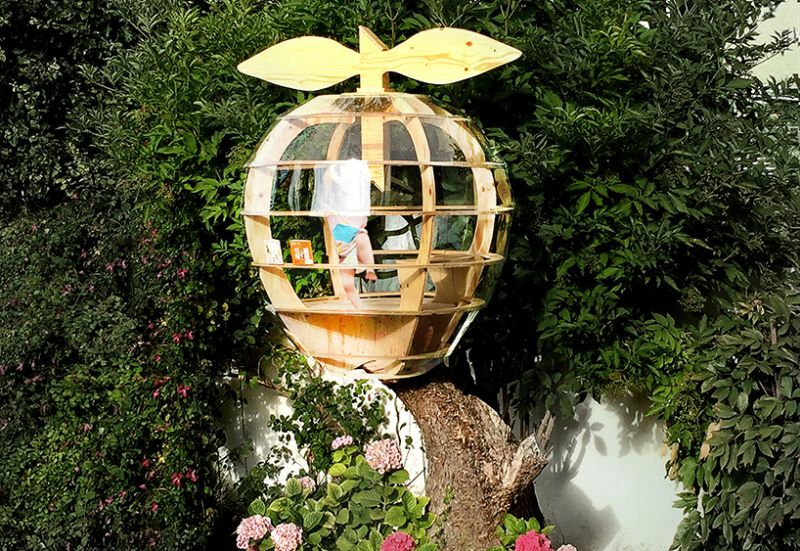 Designed in shape of a fruit, the eye-catching treehouse is placed on top of an old dead apple tree. The treehouse is a pleasant reminder of the dead tree that used to grow juicy apples. Although it’s titled as “Apple Headquarter,” but the treehouse is certainly not meant for conferences or meetings. In fact, it calls out both children and adults to enjoy views of surrounding villa gardens. 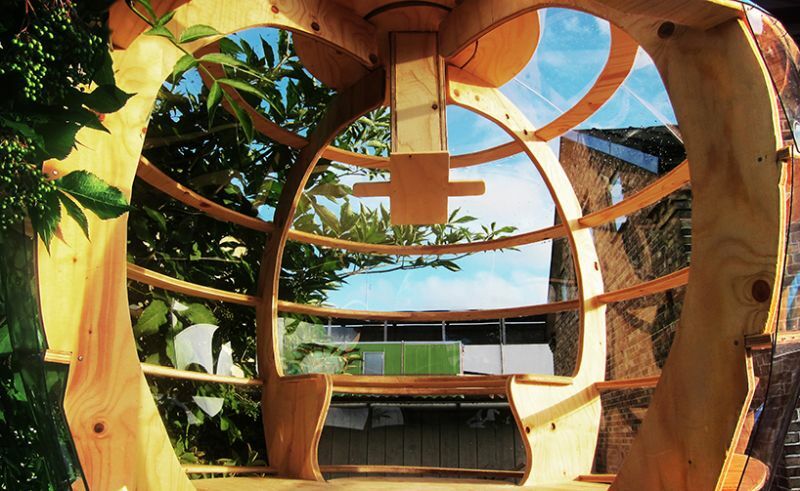 Interior of the apple-shaped treehouse features a bench, a bookcase and a periscope. 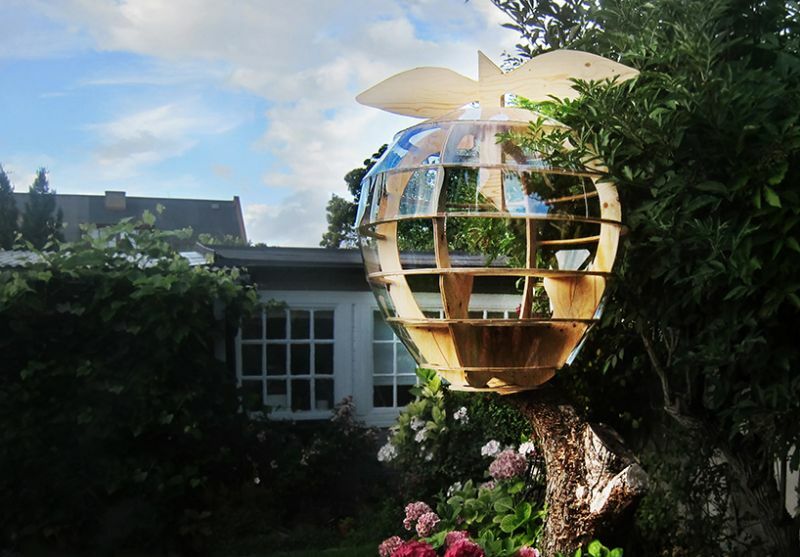 The periscope remains hidden inside a rotating apple twig and allows the inhabitants to spy on the surrounding woodland area in a lush green garden. 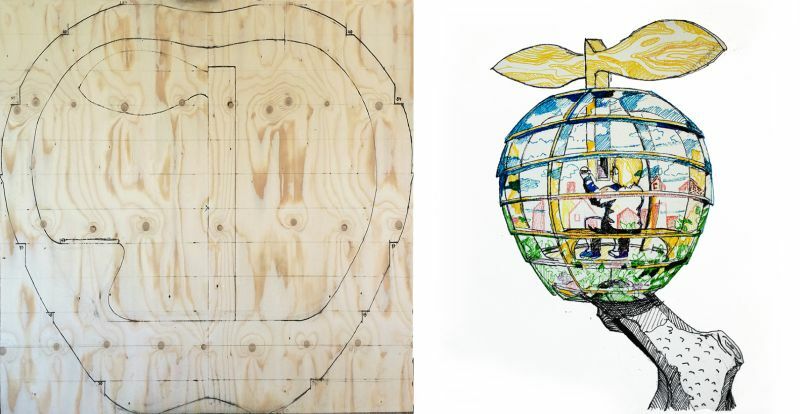 The structure is constructed out of two big plywood sheets, which have been jigsawed to create an interlocking apple shape. Further poly-carbonate sheets are used to assemble the jigsawed plywood pieces. Together these different plastic and wooden materials create see-through and sturdy treehouse for various adventurous activities or relaxation. It’s amazing to see how the talented architects have brought life into the dead tree, while adding a visually appealing masterpiece in the beautiful garden area.